Dota Replay Converter from Patch 1.22 to Patch 1.23. 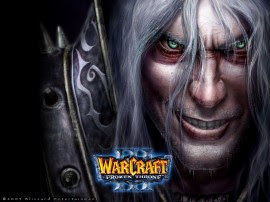 After upgrading into Warcraft III 1.23 Patch, a usual problem arise. Yup, we can no longer watch the Dota-Allstars or another Warcraft III game replay which still played with Warcraft 1.22 Patch. On the previous version, i already mention how to Watch 1.21b Replay after 1.22 Patch Installed. Even tough it's not practical, but it works. But, in this version, someone is creating a great tools. With this tools, you can convert your replays with ease and you can see them again. You will need the microsoft .net framework 2.0 to run it, which you can download in this link.